Resources that introduce and explain APA referencing, and answer FAQ. Guides to help you to reference specific resources such as books, articles and more. Resources to help you to reference a figure from a book, an article from a database or journal and website. Resources to help you to format your reference lists. 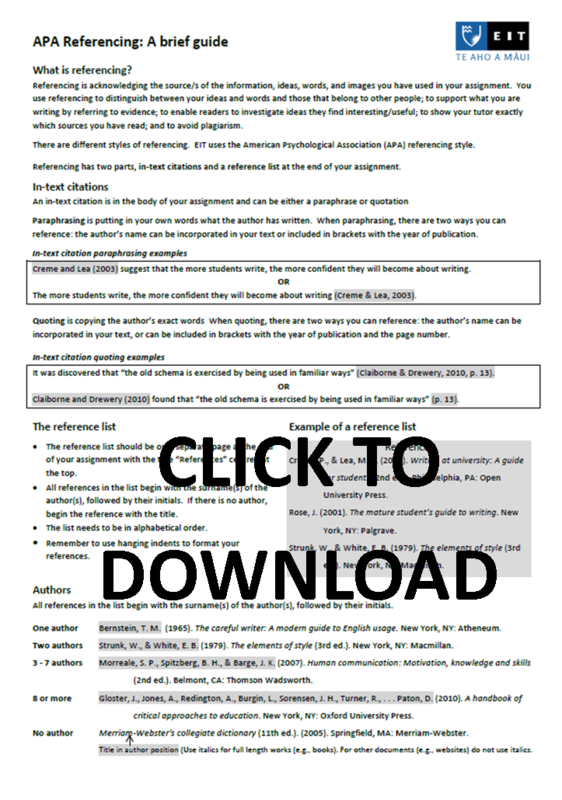 Resources to help you find the useful apa referencing. Guide to help you to install ENDNote X7 on your Windows machine. Guides to help you with academic integrity, including misconduct, copyright and Plagiarism. A list of quizzes to test your APA referencing knowledge.